My 2014 Big Racing Calender & My #KINDawesome KIND Bars Giveaway! Well I did it! I finally put my credit card where my mouth has been lately and signed up for a half Iron man. I’ve been debating between Patriot and Pumpkinman, but ultimately went for Pumpkinman because I didn’t think I would get my swimming together enough over the winter to not drown!. It’s cold and I don’t really like to leave my house in the winter so although the Patriot 70.3 seemed like a more beginner friendly race (no crazy hills like Pumpkinman), I just don’t think I could swim 1.2 miles by June. If they were cheaper, I would be crazy enough to try both of them, but at over $250 a race, I had to pick one. So now I have until Sept. 7th to figure out how to more than double my swimming distance and speed myself up. My current swimming speed would leave me over the time limit of 70 minutes (on their website). There’s a lot of work ahead of me and I’m excited to dive head first into something new. Additionally, I’m going to attempt a 50 miler again. Yes, the wounds of the TARC 50 miler disaster are slowing healing where I barely remember the pain and I’m ready to try again. Pinelands Running Festival on May 26th. So here it is folks. My 2014 racing schedule to date. I’ll probably sign up for smaller races in between if the cost is reasonable; however, I’ll attempt to exercise better control for the sake of my budget and my sanity. 2013 was great, but I’m excited for the things to come! Now for other news, remember how the awesome folks at Kind Snacks sent me a package of Kind Bars to help train for the NYC marathon? Well, I do and now I have a chance to offer one Run To Munch reader a box of 24 bars of their own! KIND’s philosophy is that food can be both healthy AND tasty. And it’s true, I’ve been in love with them since I tried one at the Quincy Half Marathon earlier this year. Although it’s fairly new to me, the company has been around since 2004 and now has over 22 flavors of bars! KIND is a strong believer in if you can’t pronounce an ingredient, it shouldn’t go into your body. Actually, it shouldn’t even go into your pantry. That’s why all KIND Healthy Snacks are made from all-natural whole nuts, fruits and whole grains. No secret ingredients and absolutely nothing artificial here. Just a delicious way of getting your body essential nutrients like fiber, protein and antioxidants (to name a few). Just by looking at a bar, you can see most of the ingredients there. I’ve been keeping a bar or two in my Camelpak when I run trails. And recently I restocked up again to take some with me on my trip to Burma. I wanted to make sure I had a reliable snack to keep me sightseeing from dawn to dusk and dusk to dawn (yea, I’m that type of tourist). Check them out on their website Kind Snacks, Twitter & Facebook! To enter, leave a comment tell me What flavor do you most want to try?. Afterwards, additional chances will open up. Contest will stay open until Sunday November 17th. Author Run To MunchPosted on November 13, 2013 Categories LIfeTags 2014 schedule, 50 Miler, Giveaway, great snacks, half ironman, Races40 Comments on My 2014 Big Racing Calender & My #KINDawesome KIND Bars Giveaway! I’m running a race this Sunday, Run to Remember Half Marathon and guess what the weather is like? It starts with gross and ends with miserable. But worry not, I’m a pro by now. If anything Hyannis, SLC, & Providence have though me is that a little rain or a lot of rain hasn’t killed me yet. Although it did a pretty good number on me at Hyannis. Half the distance should be easy, and I laugh at 20 MPH winds! Or maybe I’m just crying from the tears of waking up at 5AM to run in the rain and wind at 7AM. One word of advice I can give myself and possibly others. Don’t do this! Aside from looking stupid in all your race photos, you will often wonder why you didn’t throw away the sweatshirt. Fear of being cold? Concept of well I made this far in the race with it, why throw it away now? Maybe it’s a good luck sweat shirt? Yea, do yourself a favor and don’t even start with a sweatshirt. Just shiver and jump around like the normal kids, or throw it away like the champs do it. Hat on the other hand? Great idea! There’s something highly unpleasant about having rain and wind hit you in the face, at least the hat will block the rain. Check out my other brilliant lessons from running in the rain on an older post. I’ve been hoping for a PR this race since my last one was a year ago. Although I haven’t been training for speed, I think I earned it… Yea I’m constantly thinking I deserve things I don’t work for. It part of my charm. Also Tony will be running this half with me. That’s very special for me. Why? Because not only is Boston’s Run to Remember my first half marathon, but it was also Tony’s! We ran it together in 2011. And then we limped together for a week straight. Neither of us trained for it. My longest run was 9 miles and I thought how could I possibly ever run more. Tony’s run was probably even shorter, but he’s a natural. Clearly, I’m an idiot or a masochist since now 2 years later I training for the 50 miler in the dead of night in the woods. Sometimes I wonder what’s wrong with me. Don’t answer! Clearly, I’m destined to run a 1:28:45 and qualify for the NYC marathon, because that’s one robbery lottery I probably won’t ever win. Okay regardless, PR or no PR (although I really hope for a magical PR) I’m excited to run one of my favorite races through my favorite city with my favorite people! Even if it is a 7AM…. Anyways tell me about your weekend plans? I know a of people got races! Are you running Run to Remember? How’s your weather looking? Run To Munch is officially on Facebook Help my ego and like my page as I dream about running all day. If you’re already on facebook, please like my photo, I’m trying to win some free shoes since I go through them way too fast and they ain’t free. I also wanted to mention some smaller local races I’ll be running this Spring around Boston or just know about since I can’t run every race, at least my wallet and driver won’t. Sadly, the more I update, the less I’m running. I’m currently taking a few days off to try to recover whatever is making my right knee cranky. Maybe it’s too many lunges with bad form or too much hard running on a cheap home treadmill, either way I stopped all for a few days. Conveniently for me, this knee issue came around the same time as Nemogadden. As most New Englanders go crazy prepping for the storm on Thursday, I made a smart decision of restocking on Wednesday night when the store was completely empty! I guess this dude is prepared… if only I was THIS prepared. Jack on the other hand, as of Friday morning was not impressed. He told me to next time wake him up when I find Nemo. Anyways, the real purpose of this post besides me wanting to share silly photos of the blizzard wiping out New England. March 2, 2013 – Black Cat 10 & 20 Miler – Another Boston Prep race in Salem. Look fun but I’ll probably skip out due to budget. If you’re nearby though and want a great marathon prep race or half marathon prep race, check it out! March 10, 2013 – Quincy Half Marathon – Registration is only $50, off the MBTA red line. I picked to do this race over the New Bedford half that’s a week away because it;s smaller and cheaper and doesn’t require a drive. March 23, 2013 – Malden 10K – First this 10K with a 5K option is only $20 or $10 if you’re a student. It’s off the MBTA orange line and doesn’t require an early wake up as race start is around noon. Aside from a race shirt, hat and gloves, you also get an awesome pasta lunch afterward the race! I’ll be running and love to see you there! May 26, 2013 – Run To Remember Half Marathon – There’s a half marathon and 5 miler option and it’s completely in Boston! Beautiful course. Do you prefer local or big production (RnR style) production races? While smaller races don’t always have the roads fully closed, i still prefer the more neighborhood feel of a smaller race over the hoard of 20,000 fellow runners around me. I guess I’m a lone wolf type of runner. Also if you have other local Boston area Spring races that you want to mention, share and I’ll update the post. The Derry Boston Prep 16 miler was held on Sunday, January 27th, 2013 at 10AM. Race fee was $45 and went up to $55 one week before the race. I picked up my number at 9:30AM and by then two out of the three parking lots were full. The first think you will notice upon walking into the gym full of runners is that this is the real deal. This isn’t the I just want to get in shape and try out running type of crowd. These are lean fit machines. These are runners and they are ready to race and race hard. When they call this the Boston Prep, it really is. Most people I noticed have ran Boston in the past (or at least own a 2009-2012 Boston Marathon Windbreaker jacket) and from short conversations are training for just another Boston Marathon. It was cold and a little windy. Weather was at 16 degrees with wind at 14 mph, windchill around 2 degrees. I wore everything I mentioned in the winter layers post since I knew what to expect from Saturday’s similar weather. The course is known to be one of the hilliest and most challenging courses in New England for the distance. I’m not completely sure I would agree. Maybe I’m in much better shape now but I found the Gloucester Half Marathon I did in May 2012 much hillier and more difficult for me. The hills weren’t as steep as Derry but they were constantly rolling. The difficult part about Derry is that there’s a large number of steep downhills and those do a number on your knees. There are two major steep uphill. One smacks you around mile 5 while the other keeps punching you between mile 10.5 to mile 13. The great news? After your finish your half marathon distance of 13.1, it’s easy cruising from there! Why this is a perfect Boston training running – Boston is a mostly downhill course with a mean hill at mile 21, Derry is mostly a downhill course with a nasty hill at mile 11. Derry is perfect practice for training how to take a beating to your knees on a downhill before running against a steep hill. The video below is a drive view of the race course. Add some snow to the side and single digit temperature and you’re almost there. Miles 1 – The bathroom line was long and by the time I made it to the starting line the race has started and I had to struggle to get through the mass group of people to a better pace for myself. My stupid Garmin refused to find a signal as well. I was running strong but I wasn’t getting anywhere due to all the people and kept hoping from side to side trying to get through. Miles 2,3,4 – 7:41, 7:23, 7:40 A mile later my Garmin woke up, and I have come to the middle of the pack, a faster more open group of runners. It was downhill and I was trying to run as slow and comfortable as possible. I didn’t have a lot of trust of how far or fast my legs could carry me on what should have been a recovery run. However, with the downhill miles I was at an average 7:30 Pace. Amazing how you find energy to run so much faster when you’re in a group vs. alone. Miles 5, 6, 7 – 8:19, 7:44, 7:40 There was a hill around mile 5, I also remember it suddenly getting really cold as we ran in a shaded part of the course. I saw the clock say something like 40 minutes and since I started the race late I think I was still at a 7:43 average pace. Official results say I was at 39:21 or 7:53 pace at 5 miles. Miles 8, 9, 10 – 7:44, 7:52, 8:29 I remember these miles just feeling comfortable until I needed to pee. I knew there was a porta potty at mile 10. I saw a sign in regards to it in mile 10 and yet I somehow missed it and ran past it. You can also tell where the hill started… yup. Mile 10 was crossed at 1:18:29, 7:51 pace. Miles 11, 12, 13 – 8:32, 8:51, 7:47 Starting at 10.5 Miles, it was hills, up and a little down, to more up up, to down. Surprisingly I was able to keep running through most of the hills I didn’t say it was fast running, but there was some running. I walked a little when my quads were burning but for the most part I tried to shuffle up the hill. Also hills, and a desire to pee is not too comfortable. I think I debated the merits of peeing at the side of the road in front of my fellow runners, however, after the great show of community support and race volunteers, I couldn’t bring myself to be that disrespectful regardless of how desperate my need was growing. At this point with the hills, my average pace was 8:00 according to the Garmin. 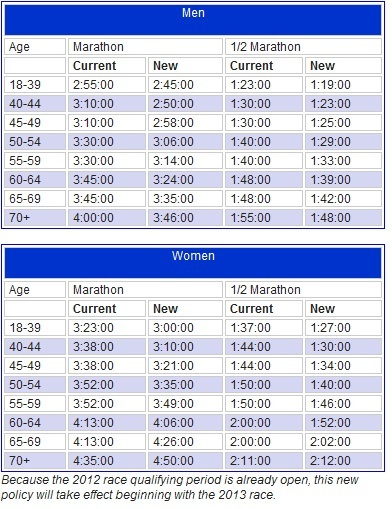 Official results say I crossed the 13.1 barrier at 1:44:27, 7:59 pace. Miles 14, 15, 16 – 7:46, 7:20, 7:02 These were a blast. I knew the hills were over and I gunned it down the road. I ran the last 3 miles in about 20 minutes. I was surprised that with all the miles this weekend, and the hills, I still had so much kick left. I guess that’s what happens when you pace your race instead of gunning down until you slowly burn out. The only frustrating part was that the last 2 miles were on a main road that wasn’t fully closed. It was a mash of runners and cars and it was a little hard to run my heart out while watching my back for a heart. After crossing the finish line I kept running because peeing my pants was not how I wanted to remember this race. Post Race Fuel – This was probably the most food I have seen available after a race. There was no finishing medal but the availability of food to refuel on more than made up for the lack of bling. Overall great race, great crowd, great course, and great food! It’s my favorite holiday! B National Running Day! B I ran today! B After a 10 day break, it felt great to hit the treadmill! B I’ll go more into my doctor/running experience but I wanted to share some sales that are tempting me beyond human levels. If you’re like me and signed up for races or other email lists I’m sure you’re email is going off the hook with deals. B Some of them are pretty sweet. B Here’s the ones tempting me at the moment. US Road SportsB B – Only $10 off but their races are a lot cheaper than RnR. B I’m eyeballing the SLC marathon. B It’s around the same time as Boston but I think if I canB re-qualifyB for 2014 I might skip 2013. B I know I want a redemption race from the 2012 failure but I’m not sure when I’ll take it. B Small rant but, I don’t think I actually enjoy Boston compared to all my other races. B In fact aside from the Spartan Race, I think Boston was my least favorite run. Having to take a day off from work and then sit around for 3 hours before running wasn’t too exciting. City Sports –B 20% off, not sure what I’m buying yet but I’m sure I can find a few things I need. Let me know if you know of any other deals! Author Run To MunchPosted on June 6, 2012 Categories running, Running GearTags Half Marathon, Marathon, Races, road races, Running, running deals, Running Gear, shoppingLeave a comment on National Running Day! So as 90% of all lottery applicants in the NYC Marathon lottery, I was not accepted. For some odd reason these words of “not accepted” felt worse than a job rejection. B Upon reading my face turned red with embarrassment as if my character had any say in this. B I know melodramatic, but there are alternatives. B I’ll start with the ones that are absolutely useless to me but maybe they’ll work for you. 1. Become a member of theB New York Road Runners for a full year, complete at least nine NYRR-scored, qualifying races, and volunteered for one. B If you really hate volunteering NYRR gives you an option to donates $1,000 insteadB – I barely like making the drive to visit my family, no way am I trekking to NY for a 5K. 2. B Run with a charity -B Yea I pretty much maxed out my friends and family by running for a Boston Marathon charity this year. B I think I’m good on fundraising for the next 10 years. 3. Keep trying the lottery – The three strikes and you’re in policy is being slowly phased out. However, some of you may still be lucky. B In the past, applicants to the marathon have been eligible for guaranteed entry if they have been denied entry three years in a row.B Applicants denied entry for the three years 2009-2011 will be eligible for guaranteed entry in 2012. Applicants denied entry for the three years 2010-2012 will be eligible for guaranteed entry in 2013. Applicants denied entry for the three years 2011-2013 will be eligible for guaranteed entry in 2014. Applicants denied entry for the three years 2012-14 will not be eligible for guaranteed entry in 2015. B 2012 was my first lottery and this ship has sailed for me. 5. Find an alternative marathon -B There’s plenty of long distance fish in the sea, run somewhere else. Whats my plan? B I’m going with 4 & 5. B For November 2012 I will take my legs, lungs, heart and the rest me on the road to somewhere else (nominees are listed below). B For 2013 I plan on trying to qualify through a half. B I know they say to never say never but I think cutting 25 minutes of my marathon time (from 3:24 to 2:59) will most likely not be happening in the next year. B Instead I will try to shed a 30-60 seconds per mile of my half marathon time. B If my knee holds up, I’ll be running two half marathons in May. B This will give me a better idea of where I stand and how much training I need. B My guess is that at the moment I am in the 1:37 range. B I’ll probably come up with a plan andB initiateB it at the Rock n Roll Providence in August. 1. Philadelphia MarathonB – November 18th, 2012 – Pros – It’s on my birthday! B What better way to celebrate than with 50,000 of your “friends.” B I can run a mile for each year literally as I turn 26. B Cons – It’s in Philly; nuff sad. B Southwest stopped flying there from Boston for a reason so I would probably drive with a stopover in NYC. B Registration is $95, goes up to $110 after 4/30. 2. Anthem Richmond MarathonB – November 10th, 2012B – Pros – Dubbed “America’s Friendliest Marathon” byB Runner’s WorldB magazine. B Cons – Does Southwest fly there? B I doubt it. B What’s in Richmond? B B Registration is $75 goes up to $85 after 4/30. B Tempting but who will sponsor my flight and hotel. 3. Rock n Roll San Antonio B Marathon – November 11th, 2012 – Pros – I’m not sure, I always wanted to visit Texas? Cons – Travel, Flights, Hotel, Sunday Race etc. The course looks kind of blend and repetitive but I like the idea of a runcation. B Registration is $95, goes up to $115 after 4/30. 4. Rock n Roll Las Vegas Marathon – December 2nd 2012 – Pros – Its Vegas? Cons – Its expensive! B Aside from travel and hotel, the registration cost is $150. B I thinkB that’sB a bit overpriced for a franchised race. B Also, this race has a total of 44K people and I heard that didn’t go too well for the competitor group last year. 5. Honolulu MarathonB – December 9th 2012 – Pros – I want to go to Hawaii. B Please take me!!!! It sounds amazing. Cons – Usual travel expenses. B But I want to go to Hawaii!!! B Registration is $125 goes up to $155 May 26th. I’m torn between Honolulu and Philly. B I’ll probably do Philly due to cost andB convenience. B Putting a down payment on a house tends to hurt your vacation budget for the year so unless Southwest goes there (I got miles!) I probably won’t be seeing it until 2013 and beyond. B B There’s also a lot of awesome races in October. B Amica in Newport Rhode Island is one I would love to one day do. B However due to the October 15th US Tax deadline, I will probably work weekends and late nights September 15-October 15h (it’s my busy season) so end of November – December is my ideal race time allowing me to get the long run training in the final weeks of October. I am not deferring and neither should you! As all the runners keep refreshing their weather app (or website), we all moan a little when the high of 88 degrees doesn’t seem to budge (in fact in only went up from 86). The BAA has been on constant email alert letting runners know that if they chose they can defer their qualification time until 2013. B It also basically told us that unless you’re very fit (whatever that means) please don’t run. That is a nice offer since for a lot of people who are not fortunate enough to live in Boston or who worked their tails off to qualify, might not always have a chance. B However, I think if you’re already living or visiting Boston and you don’t have any medical conditions I think you should still go for the race. 1. Not every race will be a PR and that’s okay! Many things will impact your personal best and weather is one of them. B Just because a race or a run is not going to be your best doesn’t mean it’s a worthy run. 3. You’ve trained for this, I’ve trained for this and you should put it towards something. B All those 4 hour weekend runs, all those given up weekend morning sleeping ins foiled to the blare of an alarm clock. B Lets make sure that was not for nothing. B Sincerely as written by the bags under my eyes. 4. You’ve fundraised (if you’re a charity runner). B Most charity runners had toB fund-raiseB $6,000 for theB privilegedB of running the Boston Marathon. B They worked hard and their friends and family are behind them. B They will still be there whether you finish in 4 hours or 6 hours, so don’t despair! B This is a reminder to myself as well and all my amazing friends that contributed to myB my charity. B I amB surroundedB by some amazing individuals and I am very fortunate. 5. You earned your right to be on the course! B Don’t give it up. B You earned your right to take as much time as you need to complete the course! Don’t give it up. B And I know by the end of the day, you and I can finish and I’ll see you at the finish line. With all the reasons of why I’m running, I’m still going to take a few extra precautions. 1. I’m carrying my own water. I know there’s water on the course every mile or so but I don’t know how busy it’ll be at each station and if I get desperately thirsty in between two miles. B I want to be prepared so I’m bringing my own water with a Nuun (electrolyte) tab in it. B I plan to refill it at water stations as I drink it. 2. I’m changing my running outfit and going for bareB minimum. B Sorry no compression socks for 88 degree weather, no matter how cute my new baby blue argyles look. 3. I am slowing down. Sadly this won’t be my sub 3:20 race but luckily I’ll have plenty of other races in the future to be my best (time). B Most likely I’ll finish in 4 hours maybe more with some walking involved and that’s okay. Running is more than just being your fastest. B It’s about enjoying the state of being. B Enjoy the spectators. B Enjoy the course, you’re taking part in history! B Soak in the scene and remind yourself of all the reasons you love running. Good luck everyone! B I hope to see you all in the athlete’s village and the finish line ! B If you’re running, say hi to me. B I’ll need some company while I wait 2 hours at the village. B My number isB 25077. B I’ll be starting out in the back of the pack, but worry not, I’ll catch up ;). Author Run To MunchPosted on April 15, 2012 Categories runningTags Boston Marathon, Marathon, Races, Running3 Comments on I am not deferring and neither should you!